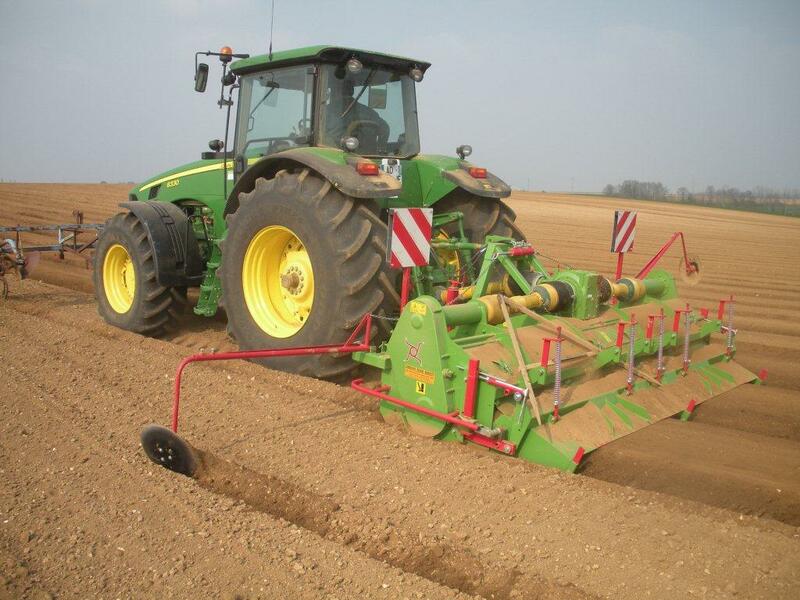 The BASELIER Hook Tine Cultivator (Rigid) Type FKV-FKVB is one of our best selling machines and is available in 1-bed, 2-bed, 3-bed and 4-bed models for full width or inter row cultivations, providing exceptional soil crumbling and clod busting for optimum potato planting conditions. Models are available in widths of up to 9.1metres. Baselier FKV Series Rotary Hook Tine Cultivators are now available with a rubber top plate as a factory fitted option. The rubber top plates replace traditional stainless steel ones, with the flexible nature of the rubber leading to a considerable reduction in soil adhering to them during work. Cleaner running, less cleaning downtime, lower tine wear and reduced fuel consumption of up to 15% have all been experienced by UK growers with rubber top plate equipped test machines during 2015. 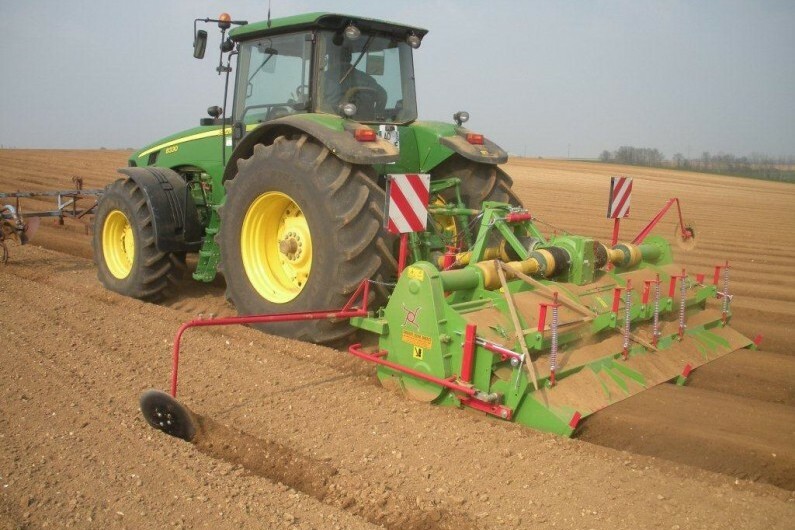 This is a simple yet effective solution to the problem of under hood soil build-up on this type of machine; typical of BASELIER'S approach to design and development.